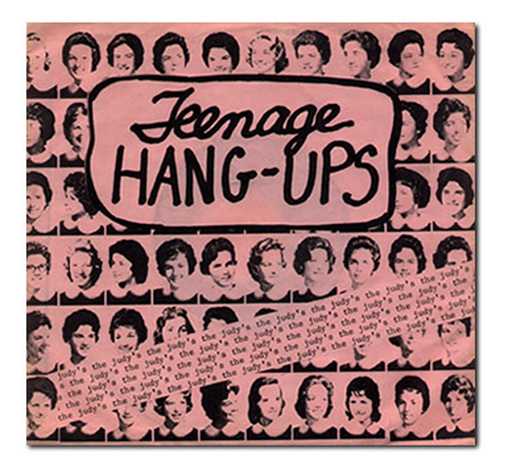 Recorded live on two track in the fall of 1979, Teenage Hangups was The Judy’s first single three-song EP produced in the hopes of securing the band live club gigs. The record was originally intended to be a four song EP, but the pressing plant refused to include the tongue-in-cheek “Will Somebody Please Kill Marlo Thomas?” due to liability reasons. Teenage Hangups was recorded with the band’s first line up which included guitarist Sam Roush, who was killed in an automobile accident two weeks before the record’s release. The band sold copies in their school cafeteria and later included them as a bonus single in the first pressings of The Wonderful World of Appliances. Contains the original version of “All The Pretty Girls” which was later re-recorded for Washarama.